At 1:30 p.m. on Thursday, April 11, 1912 Titanic departed her anchorage off Roches Point near Queenstown, Ireland, turned, and set a southerly, then westerly course into the Atlantic Ocean's gentle swells. As can be best determined, there were aboard at this point 2,228 persons – 1,320 passengers and 908 "working" crew. The figure of 2,228 was reached after minute examination of records and lists prepared by Titanic's owners and the official governmental bodies who investigated her loss. These data, some of which have surfaced only during recent years, reduce to a fraction of a percent the possibility of inaccuracy. Yet, based on past and present experience, probability for error continues to exist. It is not within the scope of these lines to describe how the figure of 2,228 was determined. What shall be examined is one reason why, for many years, the "total aboard" varied between 2,201 and 2,340, depending upon which of several sources were consulted. Cancellations by passengers, transfers, and last-minute desertions by crew account for a major discrepancy in preliminary lists. Many accepted these early lists as irrefutable fact. Even after it was clearly demonstrated they had never been aboard, some passengers' and crew members' names persisted on published lists. Thus far, canceled bookings for more than 50 passengers have been authenticated, mainly in newspaper stories at the time of the disaster. Names of crew who deserted, failed to join or transferred prior to the voyage appear on a list compiled for the British Board of Trade. 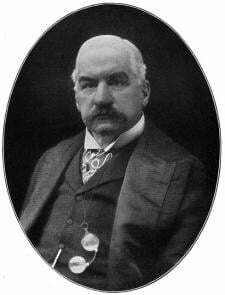 J. P. Morgan, owner of International Mercantile Marine, parent company of the White Star Line, canceled his booking aboard Titanic at the last moment. Ambassador Robert Bacon and his family booked passage aboard Titanic, but their delayed departure saved their lives. One name not appearing on the crew list is David ("Davy") Blair, who had come over from Oceanic to join Titanic at Belfast as second officer. 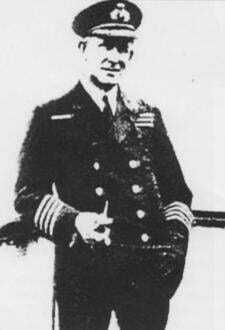 Perhaps because the White Star Line wished him to have the experience of serving aboard a liner it was rumored he would one day command, the company's management through its marine superintendent – had Olympic chief officer Henry Tingle Wilde transferred to the newer vessel. Blair did serve aboard during the trip from Belfast, but when Wilde joined Titanic at Southampton a disappointed Blair returned to Oceanic. Saturday, April 6 a majority of Titanic's crew signed on for the voyage. On sailing day, April 10, the men who had signed on reported aboard, passed muster and were divided. They then were dismissed to stand by for departure. Men who signed on but did not report for muster were classed as "Failed to Join." Those who came aboard, stood muster, then left the ship and failed to return by sailing time were regarded as "Deserted." Prominent here on the crew list are the three Slade brothers, whose rounds of Southampton's waterfront pubs, their encounter with a recalcitrant dockside train and an officer who refused to lower the gangway have become part of Titanic lore. But what of "Junior Assistant 4th Engineer" Haveling's transfer on sailing date? Why? and to where? We know that steward P. Kilford left because he was sick; but what was the "Consent" by which Sims and Burrows left? Most remarkable of all stories of those who "missed" Titanic sailing is ship's fireman Thomas Hart, whose name does appear on the sailing list. Signing aboard at Southampton on April 6 with the rest of the "black gang" was a man who produced a Certificate of Continuous Discharge that bore Hart's name. The man was listed as "lost" and Hart's grieving mother began to make arrangements for her supposedly-drowned son's memorial service. One can scarcely imagine her shock and joy when, on May 8, her son walked into their Southampton home. Hart, it seems, had gotten drunk after signing for the voyage. His discharge book had been stolen and used by another to sign aboard. Following the theft, Hart walked about Southampton in a confused state, too ashamed to return home. Expediency finally overcame fear and shame. It was never determined who stole Hart's book, used it, and was lost. Passengers who canceled bookings are more numerous, their reasons more diverse than the firemen, stewards and trimmers of Titanic crew who were left behind. Another cancellation was Mr. George W. Vanderbilt and his wife Edith. Someone in his or her family objected to their sailing aboard the new ship, "because so many things can go wrong on a maiden voyage." They canceled on April 91 . Their luggage, in the charge of one of their servants, Edwin Wheeler, had already been sent to Southampton and placed aboard. There was no time to remove the luggage. Wheeler, booked as a second-class passenger, stayed aboard and was lost. 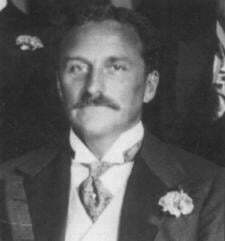 The United States ambassador to France, Mr. Robert Bacon, had reserved passage aboard Titanic for himself, his wife and daughter. But their departure was delayed by the tardy arrival of the new ambassador, Myron T. Hendrick. The Bacon family sailed April 20 on the maiden voyage of the S.S. France – an event saddened by Titanic's loss. After consulting accommodation charts, several people canceled their Titanic passages when they discovered their cabins to be unsatisfactory: Colonel J. Warren Hitchens, Mr. and Mrs. J. Clifford Wilson and their daughters Dorothy and Edith canceled their Titanic bookings and sailed aboard Rotterdam instead. Frank Kind, a Philadelphia jeweler, rebooked aboard the North German Lloyd liner Washington, which departed April 7 from Cherbourg. 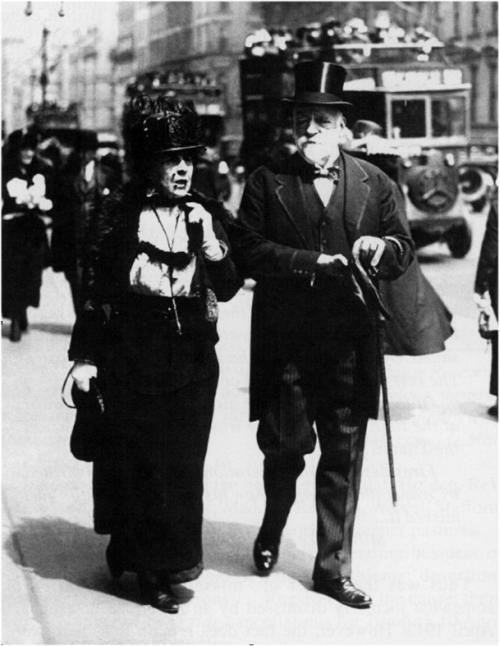 Mr. and Mrs. James V. O'Brien of Cleveland, Ohio, in Ireland to settle a lawsuit they had instigated, planned to sail for America from Queenstown aboard Titanic. Sixty years later, on her 100th birthday in 1972, Mrs. O'Brien recalled how their business lasted longer than expected and she and her husband switched to a later ship. Not only Mrs. O'Brien but her 14 grandchildren and 24 great-grandchildren were also grateful, in 1972, of the change. On furlough from his mission in Sialkot, India, en route from Karachi to Boston by way of the Mediterranean and France, the Rev. Henry S. Nesbitt, his wife and five children had planned to sail to New York aboard the Majestic. When this ship's sailing was canceled by the coal strike, Thomas Cook's Paris agents assured the Nesbitts that the new ship Titanic would take her passengers on her April 10th maiden voyage. Arriving at London, the Rev. Nesbitt unexpectedly learned of a serious illness that had befallen Mrs. Nesbitt's father. Several days of leisurely sightseeing were abruptly set aside. It was now essential that the family cross the Atlantic as soon as possible to reach the ailing man's side. After considerable trouble, caused by the Good Friday closure of the Cunard offices, they were able to make a last-minute booking on the Cunard liner Carmania, which had a Saturday, April 6 departure date. Traveling by the Cunard boat train to Liverpool where they hastily boarded Carmania, the Nesbitt family reached New York late in the afternoon of April 14, only to read in the following day's newspapers of the loss at sea of the liner on which they had planned to sail. Had not the merest chance enabled them to sail aboard Carmania, the Nesbitts would have been "automatically" transferred from Majestic to Titanic and might have suffered the privations of the disaster. On exhibit at Liverpool's Merseyside Maritime Museum is a yellowed envelope whose black-and-red printing announces that it contains "First Class Passenger Ticket per Steamship..." (Then, written in fading brown ink): Titanic. Because Reverend Holden's wife was taken ill, their tickets, once contained in this unique envelope, were never used. Also written in the same fading ink at the envelope's top right edge, is the name of the passenger for whom the ticket was intended: "Rev. J. Stuart Holden." Yet, one searches in vain for the name and ticket number that was so surely issued. 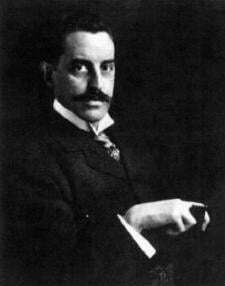 George W Vanderbilt did not sail aboard Titanic on the advice of family. Photo taken c. 1900). Charles Ross sailed aboard the Carmania three days before Titanic's maiden voyage. Having received his ticket, the Rev. Holden – vicar of St. Paul's Church, Portman Square, London – was preparing for his departure to America aboard Titanic to speak at the Christian Conservation Congress (a six-day convention opening at Carnegie Hall April 20) when his plans were interrupted by his wife's sudden illness. On April 9, one day before sailing, the Rev. Holden postponed his trip to stay at his wife's side. He returned his ticket, but retained the envelope in which it has been delivered. The envelope was subsequently framed, and in gratitude to God for his miraculous escape, Rev. Holden penned in his own hand on the matte within the frame, an expression of faith and thanksgiving. From Psalm 103, verse 3, the phrase not only speaks for Rev. Holden, but represents the unspoken thanks for all who, for one reason or other, were not aboard Titanic when she departed Queenstown on Thursday, April 11 at 1.30 p.m. with 2,228 persons aboard, or among the 1,523 lost less than 85 hours later. "WHO REDEEMETH THY LIFE FROM DESTRUCTION." The Rev. Holden was not the only clergyman planning to attend the Christian Congress who did not sail from England aboard Titanic. 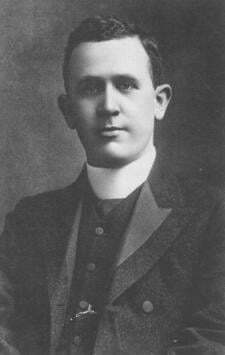 According to an article in The New York Times April 20, 1912, two other European speakers who had been invited to speak at the convocation also canceled their passages aboard Titanic maiden voyage when forced by circumstances to change their plans: Archbishop Thomas J. Madden, of Liverpool, and the Rev. J.S. Wardell Stafford, Fraternal Delegate of the Wesleyan Churchof Great Britain to the six-day evangelical rally. It's certain that two boats the size of Titanic could not carry the crowds that 'just missed taking' the lost ship. To date 3,482 Americans, 2,950 Britons and 476 scattered, all more or less prominent, have entered the "Just Missed It Club." It appears that 4,965 of these had engaged passage, but canceled their reservations before the Titanic sailed. Of this number, 899 had premonitions of disaster. The rest were in Paris and couldn't break away. Of the balance, 732 are glad they were not aboard at the time, as they surely would have come home on the Titanic. Thus was the matter of "missed" passages on Titanic somewhat jocularly dismissed by an American newspaper in April 1912. However, the fact does remain that there were a number of people who, for one reason or another – including some who were hired, had actually received tickets or confirmed their passage – did cancel their trips. As noted, among the crew, some, such as the three Slade brothers, had their passages canceled for them. Thomas Hart did not sail as a crew member, but "Thomas Hare" did; fireman John Coffey made it part way, as far as Queenstown, before deserting. A number of passengers did not sail because they were delayed by business or personal reasons. One passenger, already booked (and his name on the passenger list) missed the sailing because his car broke down on the way to Cherbourg. According to the August 8, 1912 Daily Independent of Monessen, Pennsylvania, after writing to friends that she would sail on Titanic's maiden voyage, Miss Maude Powell changed her mind and remained a bit longer in England. She had been medical missionary in Peking, China for six years. She sent a letter to her American friends advising them of her change in plans, but somehow the letter had gone astray, and they believed her lost. U. S. immigration records confirm she ultimately sailed from Southampton aboard the Kronprinz Wilhelm on July 3, 1912, arriving in New York one week later. There were 18 third-class passengers, booked at Queenstown, who did not board. Some cancellations (most not noted here), were apparently based on various psychic forebodings. Clergymen appear to have done especially well in missing the boat: Rev. J. Stuart Holden, Rev. Henry Nesbitt, Rt. Rev. T. J. Madden, Rev. 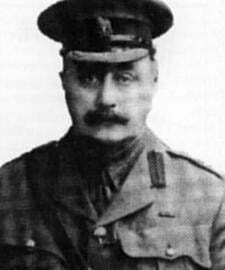 J. S. Wardell Stafford. All were spared to carry on God's work in greener pastures. Transferring to earlier or later ships; pending business or judicial dealings; personal or family problems; desertion; inadequate accommodations . . . Regardless of the cause, there were a number of bona fide cancellations for Titanic's 10 April departure from Southampton. For those who chose not to travel, for those who could not or would not go, it was a time of gratitude and thanksgiving, a time of reflection – a time of acknowledgement to the Supreme Being "who redeemeth thy life from destruction." Driving to Cherbourg, his car broke down and he missed the boat. However, his name remained on passenger list. Birmingham [England] Daily Gazette, 16 April 1912 Changed his mind after booking. A few days before 10 April, took a ship from Liverpool instead. Vicar of St. Paul's, Portman Square, London. Canceled 9 April due to wife's illness. 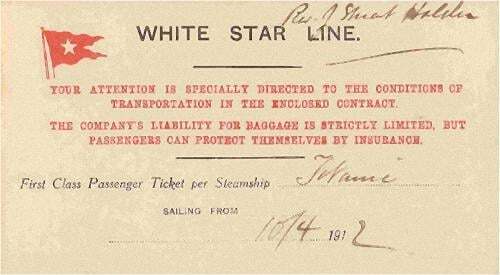 At Queenstown, in addition to the names of 115 adults and five children who boarded, there also appear on the list names of 18 people who did not use the tickets they had purchased for passage aboard Titanic. It is interesting to speculate why these tcketed passengers did not board, and, if they had, who would have been saved and who would have added their names to the 1,523 lost. On 30 April The New York Times reported that Edith's mother, Mrs. Susan Dresser, had expressed the objection. But Mrs. Dresser died in 1883. Edith Vanderbilt's sister, also named Susan Dresser, might have been the family's Cassandra. Quoted in Behe, George, Titanic: Psychic Forewarnings of a Disaster, Patrick Stephens, Ltd., Wellingborough, England, 1988. Join the Canceled Passages Aboard Titanic discussion on our message board, 5 posts, last post by Lester Mitcham.